Healthcare organizations face an ongoing compliance burden. With employees exchanging hundreds of emails a day, the vulnerability of email should not be overlooked. Email encryption provides a safe harbor under HIPAA. 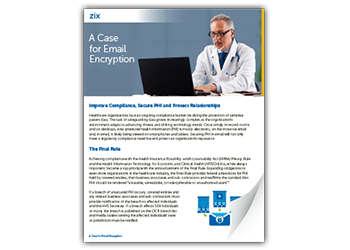 Find out more in our Case for Email Encryption for Healthcare.